It was a humid July afternoon in Shanghai. Yasser Mufti and his friend Huda were enjoying cocktails at Yin, a Shanghainese-style restaurant in the Luwan district of Shanghai, China. Yasser was nursing a gin and tonic and Huda was sipping on a lychee-flavored liquer called Dita. It was at that moment that inspiration set its sights on Mr. Mufti. 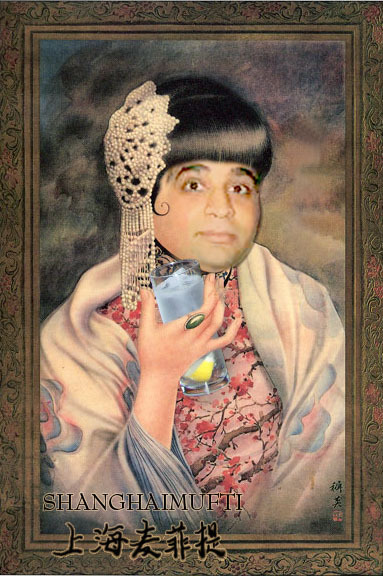 He asked the bartender, Diana, to mix him another Tanqueray tonic and add a splash of Dita; And so, the Shanghai Mufti was born. Yasser went on a personal mission to share his new-found delight with his friends. Although his drink did not yet have a name, it became an instant sensation for those that knew of the drink. Several weeks later, Yasser’s friend Kyle Smith was struck with what might be the second most genius moment in the history of alcohol when he named the new drink the Shanghai Mufti.